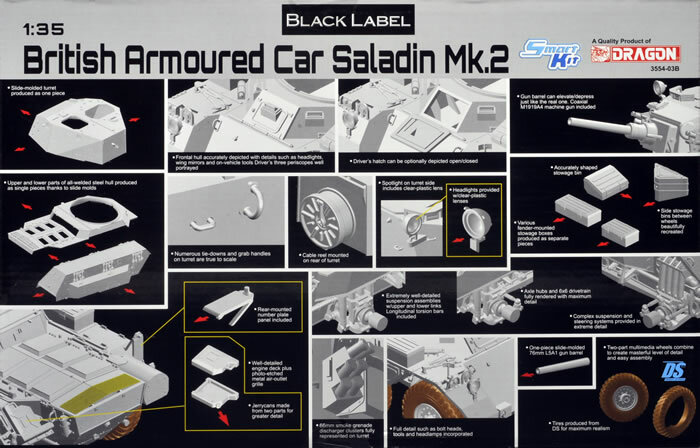 Media and Contents: 239 plastic parts in grey coloured plastic; four parts in clear; six flexible DS plastic tyres; a single photo-etched grille; markings for six vehicles. 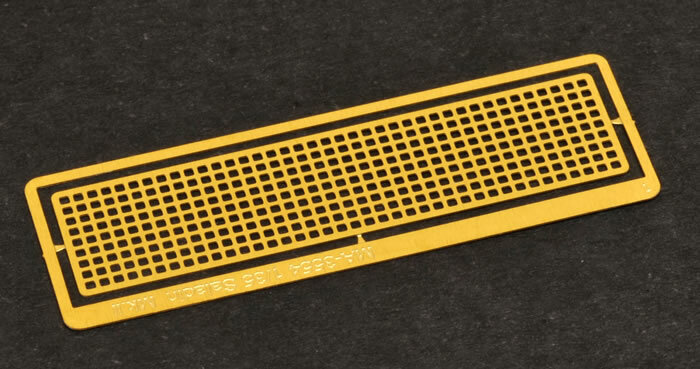 Advantages: Long awaited subject; nice surface details; accurate outline; perfect fit.. 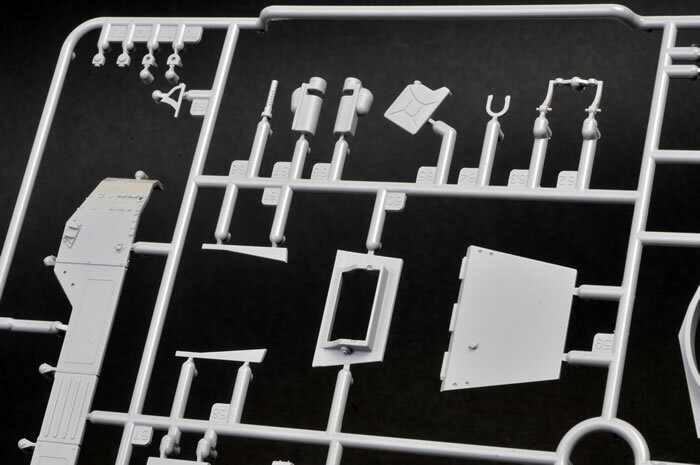 Disadvantages: Missing details (hatch interiors, exhaust piping, tow cables, .30 cal machine gun and mount, gun cover); some overscale or underdone detail. Recommendation: There are a number of surprising omissions and some chunky detail, but after having buolt the model myself, I found overall that the model offers a fast build, perfect fit and an excellent base for further detailing or conversion. Dragon’s recent Black Label series has had a mixed reception to date. On the one hand, this new series has delivered a number of rare, interesting and previously unavailable vehicle types. The models in the Black Label series generally feature a lower parts count than other recent Dragon releases, making them faster and easier to build. 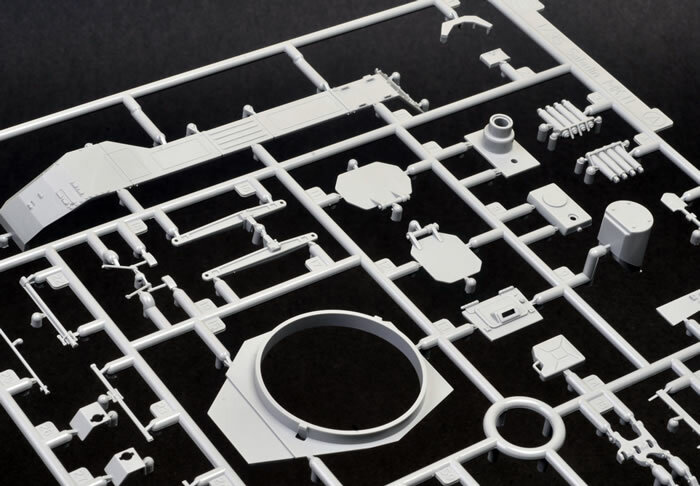 On the other hand, a number of the kits have accuracy problems, while there have also been complaints about oversimplification of detail in places. 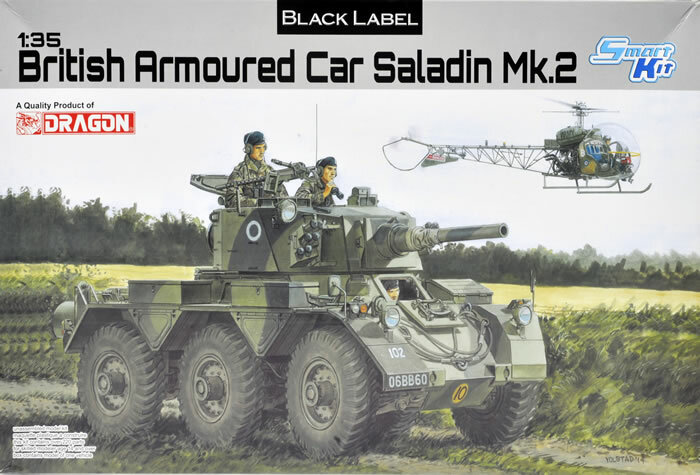 The latest addition to Dragon’s Black Label series is a 1:35 scale Saladin Mk.2 armoured car. 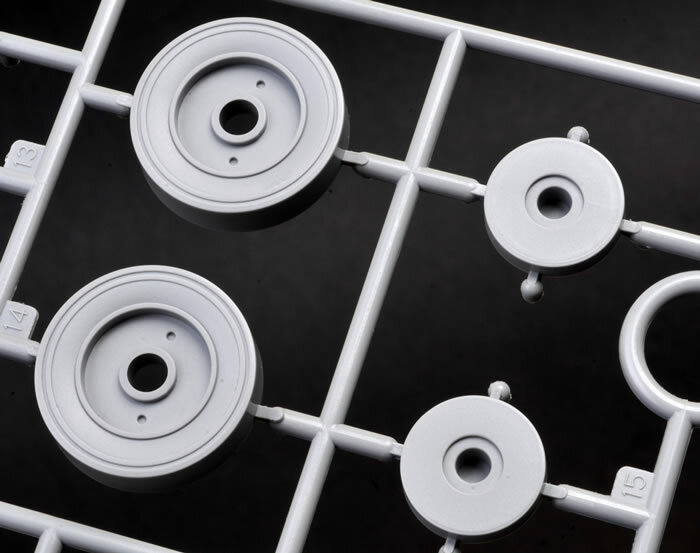 The kit comprises 229 parts in grey plastic, four parts in clear, six flexible DS plastic tyres and a single photo-etched grille. This parts count is modest by Dragon standards. 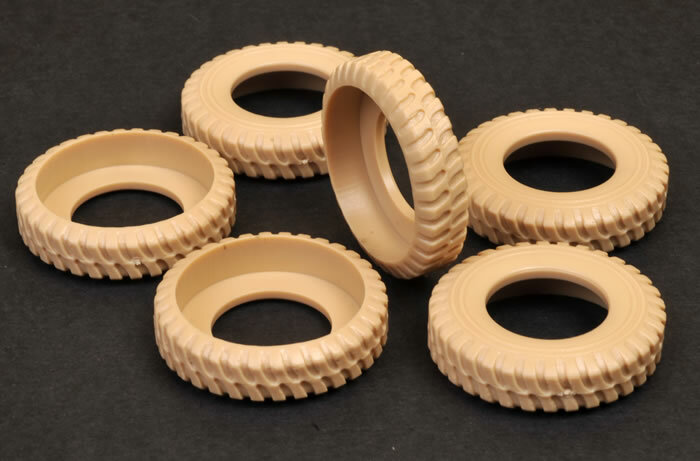 The quality of the mouldings is excellent. 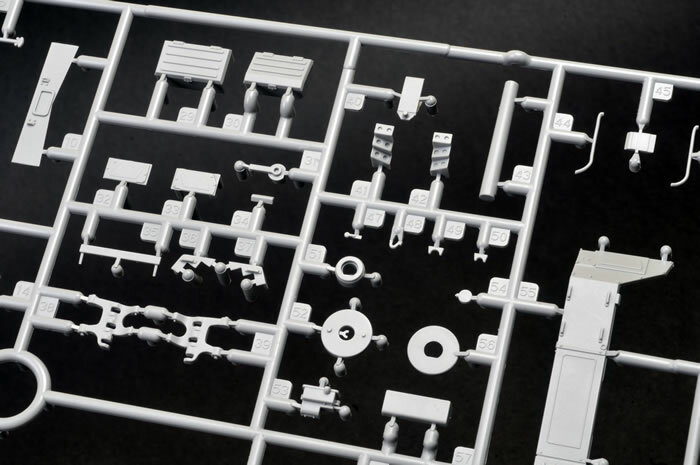 I could not find any imperfections on the outside surfaces of any of the parts. Surface textures are crisp and fine. The tyres are supplied in Dragon's salmon-coloured flexible DS vinyl. 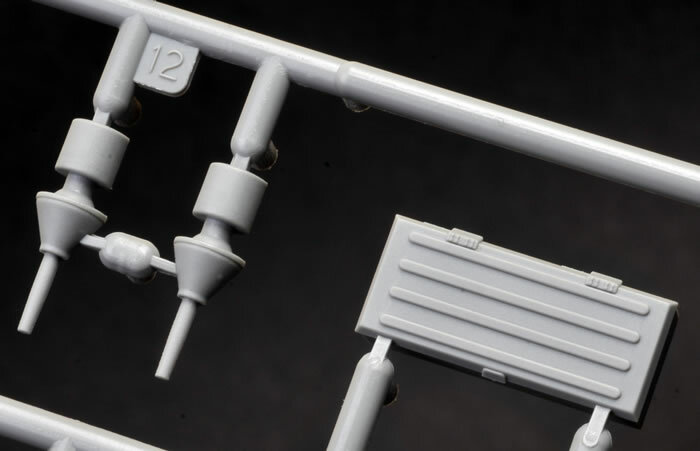 There are a fair amount of raised moulding seams on the parts though, and the many sprue attachment points demand careful clean-up. 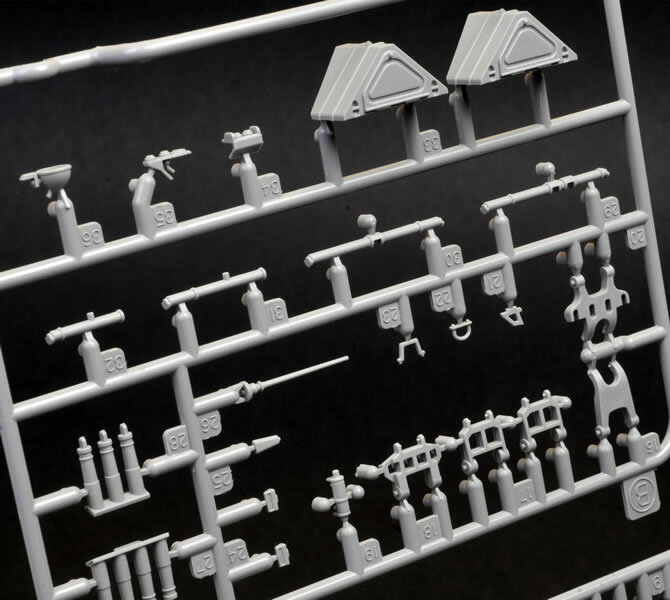 Some of the details are a bit clunky, such as the shovel, the photo-etched mesh and the separate plastic turret tie-downs. 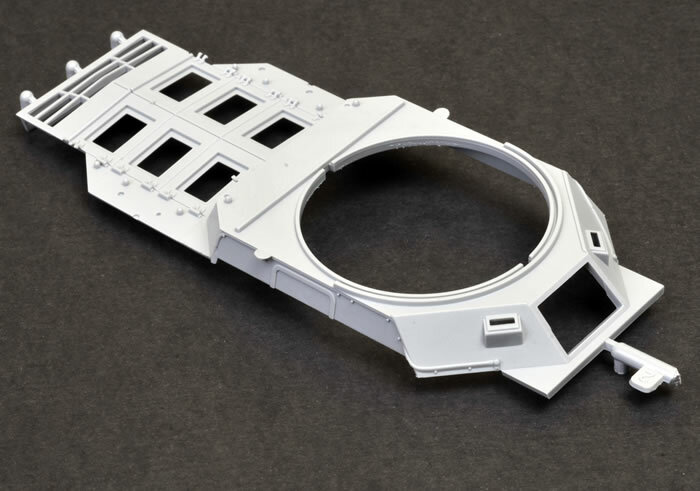 If I build another Dragon Saladin, I would fill the large locating holes in the turret with Milliput and form new finer tie-downs from wire. A number of details are missing altogether. 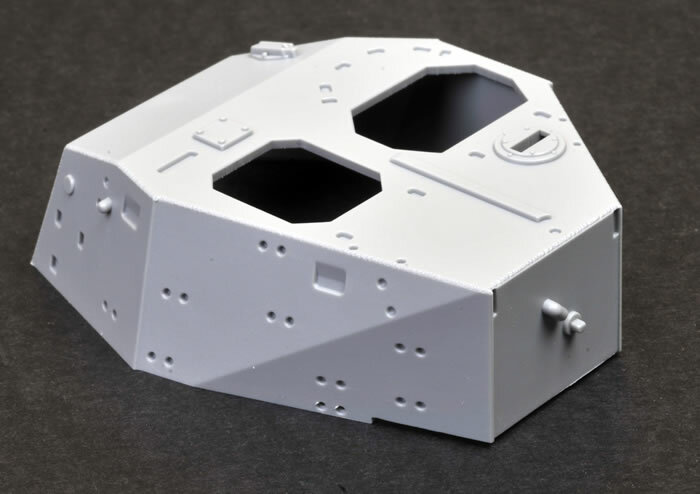 The most noticeable of these is the total lack of detail on the inside of the three main hatches. 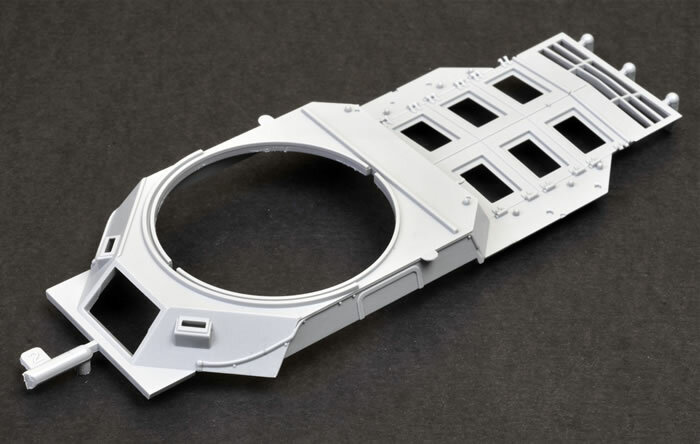 The hatches are supplied as separate parts and may be posed open, but you’re on your own with the structural features on the inner surfaces. 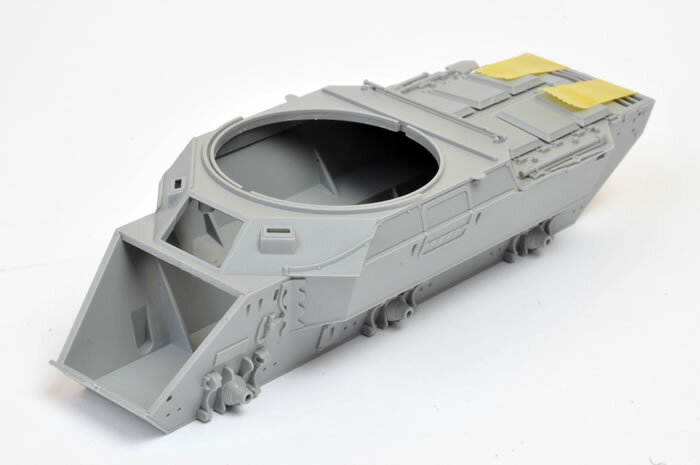 I do understand that there is no interior detail provided elsewhere in the kit, but I am sure that many modellers will want to fit crew figures to the vehicle. Also missing are exhaust pipes, tow cables, the .30 cal machine gun and mount and the canvas gun cover. I suppose this is a golden opportunity for after-market accessory companies, but some of these obvious omissions are certainly baffling. In Step 10, the stowage bins are labelled A33. They are actually parts B33. In Step 19, the tie-downs are labelled B5. They should be B9. 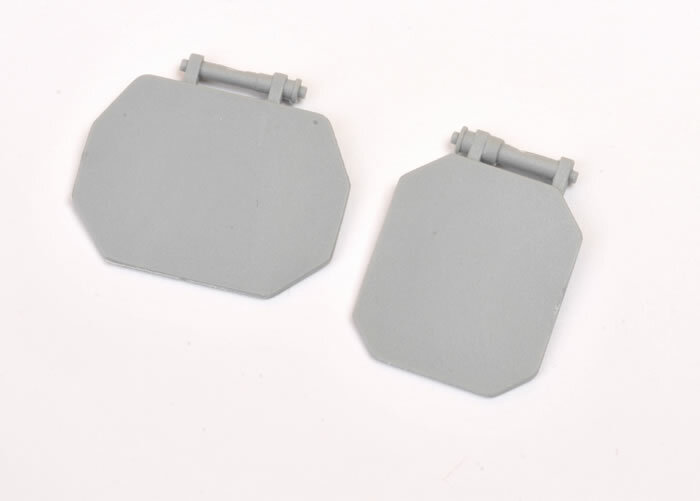 I would also strongly recommend that you delay fitting the forward upper hull armour plate (part A59) until after the upper and lower hull halves are joined in Step 4. There are a number of surprising omissions and some chunky detail, but after having built the model myself, I found overall that Dragon's Saladin offers a fast build, perfect fit and an excellent base for further detailing or conversion. 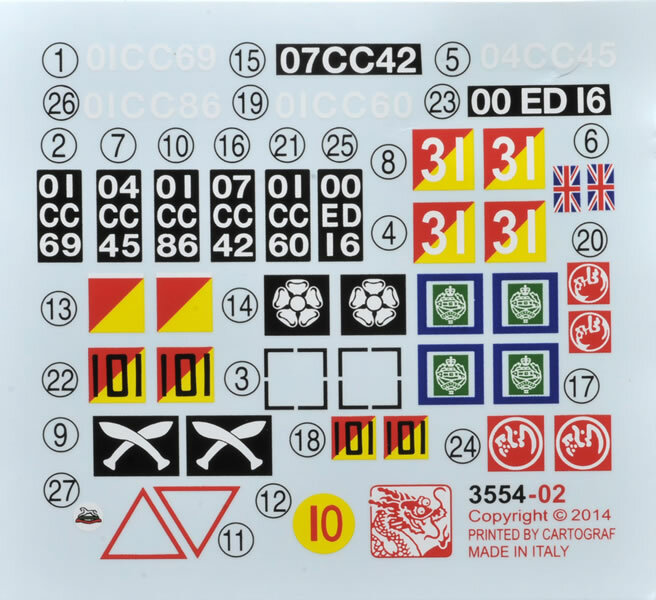 Dragon kits are distributed in the UK by The Hobby Company Limited for the sample.